Nothing too out there, all stuff you could imagine. Glasses with the 720 might be interesting, also intersting that onlive is listed as possible acquisition. They also think the ps4 will double as a google tv, so tighter integration with google and sony, maybe a better browser? ^_^ or maybe another tax scam by sony to sell it as a tv box, then remove the tv box so they are left with a console in 2 years. I have to wait 3 years? FML! Not sure how much real info in this leak if its come from a report thats nearly 2 years old. A lot could have changed. It does give an indication of what direction they want it to take though and if they pull it off it sounds quite decent. Especially that pricing, I'd be amazed if they manage to stick to that, bargain of the decade. If it is released next year I will probably get it as long as the PS4 isn't released the same time, if it is I will prob get the PS4 instead. Looking to have both consoles for the next gen.
No. They have plans for Xbox all the way till 2015, it says its coming out in 2013 launch so thats a year. Saw this yesterday, looks pretty fake. apart from being 'more powerful', what proper game changing new features can the new consoles be rumoured to have? they seem more like upgrades to the current ones than anything actually super new. I would love the PS3 to have more social aspects to it and some of the stuff similar to what the Vita as with the Live Area and whatnot. Well taking it with a pinch of salt, if the price point is true, then I would like it looks pretty sweet. I hope M$ does buy up OnLive... Until broadband improves significantly across the board, that's got fail written all over it. But until the hardware manufacturers themselves start releasing information, I'm not going to put much stock in sporadic information. 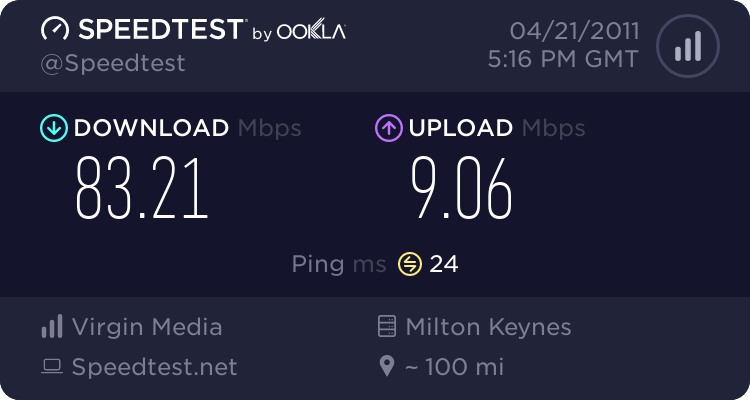 Onlive works fine with my broadband, what company are you with? I would actually like to have those as options because I really dont want crap on my system that i will NEVER use. I'm sick of things like facebook and twitter.... and Google. I'm sick of companies thinking that I really should hand over all my details to access something just to send a message to someone, or demanding i sign up just to read a post. I don't want to sign into my PS4 account only to find new terms and conditions which mean I MUST ALSO sign up to a google account or facebook or twitter or some other junk i dont want. I see where some of this crap is going with gaming when you can set your console to automatically post to your facebook page or twitter what game you're playing, or what score you got in fifa for example. I really don't want this crap at all in any way shape or form, I like my privacy, i value it, i just want to play some games and play some games online with friends... thats all. I also don't like the idea of having your details broadcast to all by default and you have to go into options to turn it off, like in Shift 2, my friends could see my other friends on the leaderboard even though they wern't on each others PSN friends list... to me that's a disgusting abuse of privacy and even if my friends didn't realize this was a happening i had to turn it off. As i already said, I value my privacy so i must in turn do the same for theirs, those types of things should NEVER be on as default, they should be set to Opt In by default and not to Opt out, plus with the added option of not showing your other friends details to anyone else but you. In terms of these "smart TVs" (I wont be buying one), i dont want a "smart tv", i just want a regular TV, one that doesnt suggest crap to me to watch, one that doesn't target adverts at me, one that doesnt need me to scan my whole body in and register my voice onto it to change the channel etc... I have a remote control, that's all i need and want to use. As for this "pay as you go gaming", well, i dont want a massive library of games, i just want the games i choose, (i know you can do that with a massive library of game too), so if im only choosing game i want and getting them on disc, then Im not tied into any contracts which need paying into every month, i just want to buy a console and some games to play on it, thats all. so for this xbox 720 leak, its nothing special, and neither will the xbox720 be, i just hope that next time around the developers make games for each console to their own strengths, not make them on xbox and port over. I have noticed this many times, guys standing there cockwatching on you and you feel abused right away... Makes you wonder wy some changing rooms are designed to be totally open, maybe the architect was a pedo, or maybe it's the lesure center owner?